Uryadi’s Village (UV) was established in 2014 in response to a request from the local leadership in Soddo, Ethiopia, to help them address the growing number of orphaned and abandoned children in their area. UV agreed to co-develop a sustainable approach to this challenge. 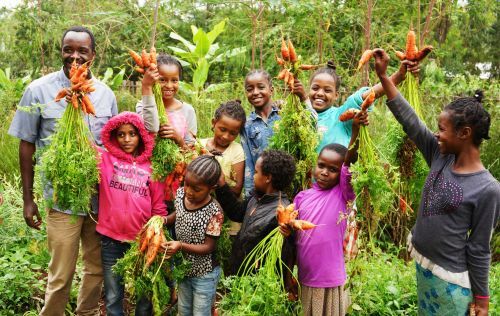 A community based on Permaculture principles has been created, guided by the vision of a beautiful, productive home for orphaned and abandoned children, which also strengthens the community and is a source of innovative progress and abundance. UV cares for 97 orphaned children and supports the education of another 95 in the local community who have families but would not stay in school without some financial help. It is working with the local government to scale up a local adoption program and is one of the only orphanages around to accept special-needs children. It is also developing support systems and tools for parents of children with special needs to avoid abandonment in the first place.